Marieluise Beck (born in 1952) studied German, history and sociology in Bielefeld and Heidelberg and subsequently worked as a secondary school teacher in Pforzheim. She has two daughters and lives in Bremen with her family. 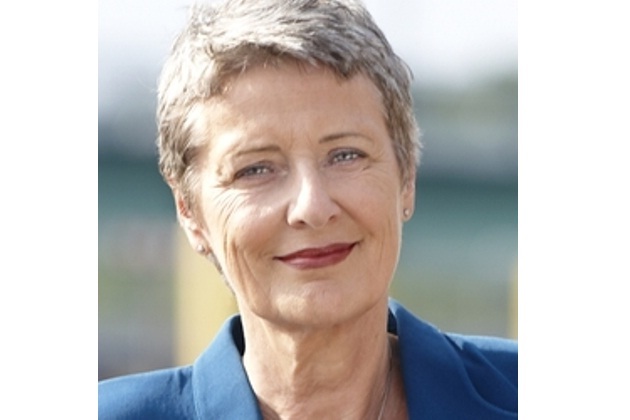 Since 1980 Marieluise Beck has been a member of the Greens. In 1983 she was elected to the German Bundestag and in the first electoral term in which the Greens were represented in Parliament she was one of the spokespersons of the parliamentary group, together with Petra Kelly and Otto Schily. She again served as a Member of the German Bundestag in the following electoral term from 1987 to 1990. From 1991 to 1994 she was a Member of the Parliament of the Free Hanseatic City of Bremen and from 1990 to 1991 was also the spokesperson of the executive committee of the Bremen association of the Greens. In 1994 Marieluise Beck was again elected to the German Bundestag and has been a Member ever since. In the 13th electoral term (1994 - 98) she was the spokesperson of the parliamentary group on the Committee on Labour and Social Affairs. The main focus of her work was labourmarket and working-time policy as well as European social and employment policy. Starting in November 1998, the beginning of the 14th electoral term, Marieluise Beck was appointed as the “Federal Government Commissioner for Foreigners’ Issues”. With her new tasks she became a member of the Bundestag Committee on Internal Affairs. She continued this work in the 15th electoral term (2002-05) - now with the title of “Federal Government Commissioner for Migration, Refugees and Integration” - and additionally assumed the office of a Parliamentary State Secretary in the Federal Ministry for Family Affairs, Senior Citizens, Women and Youth. After the change of the German Federal Government in October/November 2005 Marieluise Beck became a member of the Committee on Foreign Affairs of the German Bundestag where she focuses as the spokesperson on eastern European affairs for the green parliamentary group on matters concerning Russia, Belarus and Western Balkan countries. She serves as the chairperson of the German-Bosnian Parliamentary Friendship Group of the German Bundestag and is a Member of the Parliamentary Assemblies of the Council of Europe and the OSCE. Since the early 1990s, Marieluise Beck has been actively concerned with human rights issues. While serving as a Member of the Parliament of Bremen she helped launch a cross-party initiative called "Women Help Women" to look after traumatized women from the Croatian and Bosnian war zones. This initiative developed into "Bridge of Hope", an aid agency for Bosnia which was supported, inter alia, by the Federal Foreign Office and the European Union and arranged for innumerable consignments of aid to be taken to war-torn areas. For this work Marieluise Beck was awarded the Order of Merit of the Federal Republic of Germany and was made an honorary citizen of the Bosnian municipality of Lukavac. Marieluise Beck is a member of the German-Israeli Association and a member of the German-Israeli Parliamentary Group of the German Bundestag for many years.